My dear friend, Amanda - college room mate, volleyball team mate, maid of honor - came to visit for a week with her boyfriend (and coincidentally, family friend) Daine Solomon. 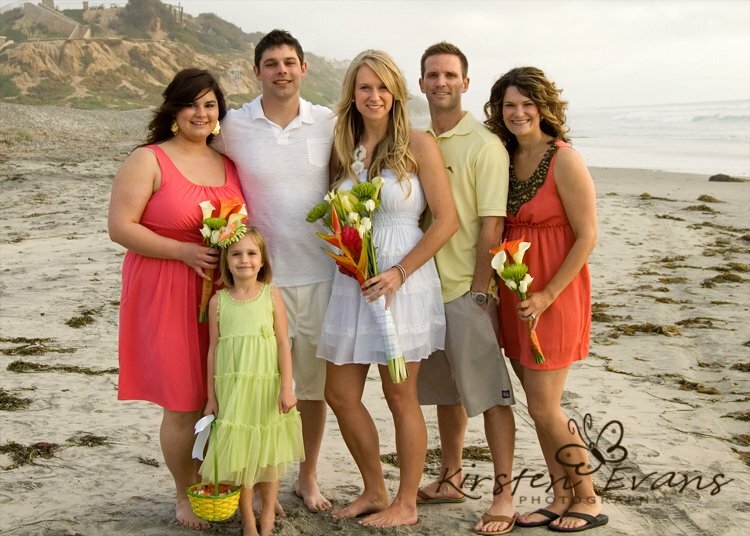 They started dating in January and made the decision three days into their visit to get married Tuesday evening on the beach in Carlsbad right before sunset. Don't worry, they received blessings all the way around from their families, and Nate and I did a crash course in pre-marital counseling the night before (we felt somewhat qualified since we'll be celebrating our 10 year anniversary this May)! But it turned out to be a beautiful evening for everyone who was able to come. Haven was thrilled to be the flower girl and Parker was thrilled to have an excuse to make sand castles at our feet during the ceremony.